I’ve recently discovered quinoa and now I want to know where it’s been all my life! Admittedly, I’ve known it existed for a while, but it was this unfamiliar food with a difficult to pronounce name. It somehow seemed complicated to me. Oh man, was I mistaken – happily so! According to the good folks at WikiAnswers, there are two legit pronunciations: The first option is “kee-NO-wah” and the other is “KEEN-wah.” I”ve taken to using the latter, myself. I’m learning what a great substitute this is for brown rice which is what led to this tasty creation. While I enjoy brown rice, it takes AGES to cook and sometimes I don’t feel like waiting said ages to eat. 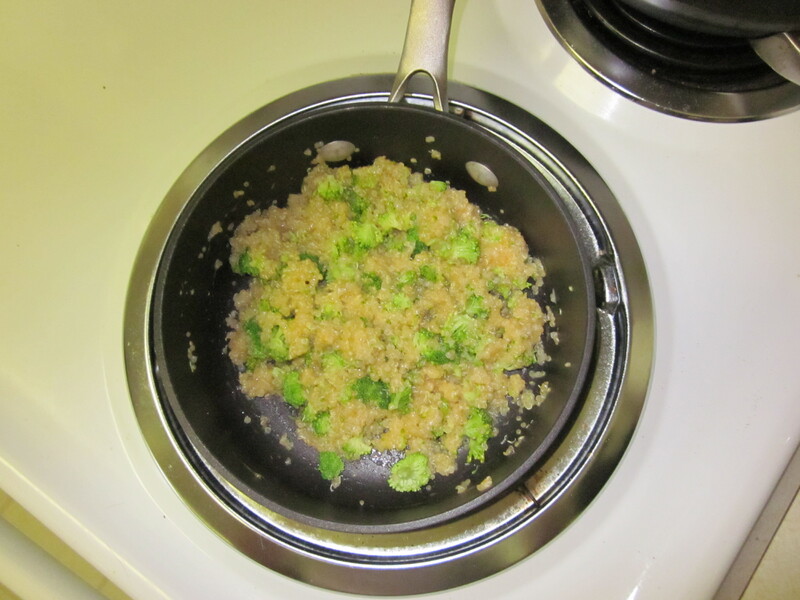 Quinoa is ready to go in about 20 minutes. Now that’s what I’m talking about! Plus, because quinoa is gluten-free, has a low glycemic index, AND provides all 8 essential amino acids, it is something I can eat often and feel good about it every time. I hope you give this recipe a try and enjoy it as much as I did. I enjoyed it so much I made it twice in one week! 1/2 cup liquid – water, chicken stock, veggie stock – whatever you prefer. 1. Cut off the florets from the head of broccoli. I prefer mine medium-small to smallish. 2. Grate cheese. I used the small holed side of my box grater. 3. 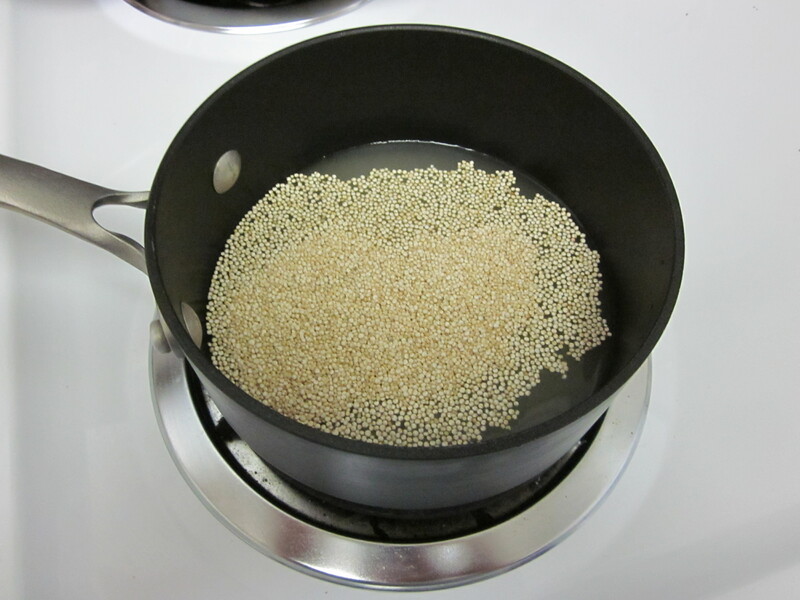 Combine your liquid and quinoa in a pot. Bring to a boil. 4. Turn heat to low, cover, and cook for 15 minutes – NO PEEKING! 5. 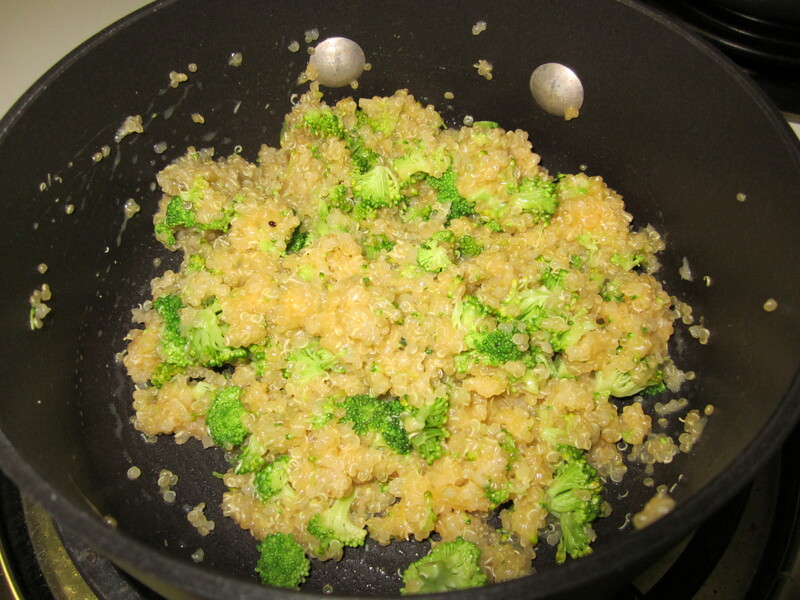 Take off heat – put broccoli in on top of quinoa. 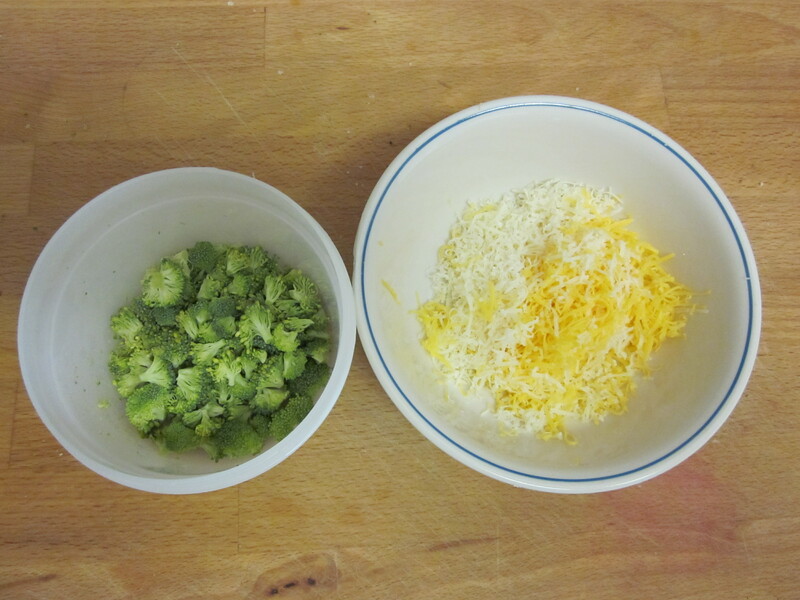 Cover and let sit 2 – 5 minutes, depending on your desired done-ness for the broccoli. I left mine in about 2:30. 6. Fluff quinoa, mixing in the florets and cheese until the cheese is melted. 7. Eat and be delighted! I would suggest cutting the broccoli and grating the cheese whilst the quinoa is cooking if you aren’t doing other dinner preparations in that time. I used leftover broccoli from the night before which kept just fine. I also encourage eyeballing and adjusting amounts as you so desire. Sometimes I’m feeling the need for extra cheese and you can never go wrong with that. I imagine some finely diced onions or ham might be lovely additions. Go with what sounds tasty to you as that is likely to be what works best for you. But please, by all means, do go with something – it’s too easy not to give it at try! 🙂 Please feel free to share with me how you like to eat quinoa. I’m excited to explore the possibilities! Happy eating! I am going to make Julie cook this soon. I love this stuff already and this adds two other favorites as well. Looks like a winner. Nice job. We made this tonight and added some sauteed onions and garlic (made while the quinoa was cooking). We were thinking it might be good made with mushroom or miso broth. It would make a solid side dish for beef or fish. I made a larger batch since we had three for dinner and I wanted leftovers for lunch. Delish! This will become a staple side dish around our house, and it’s easy enough that I can fix it in the morning for school lunches.